An Arbroath smokie, or even a smoked trout, hot from Iain Spink's barrel is right up there with any world-class street food. 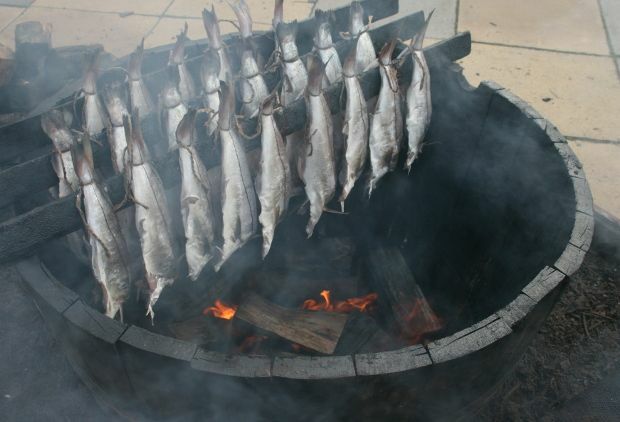 Author of The Arbroath Smokie Bible, he’s an expert on the subject, with celebrity chefs such as Rick Stein, Jamie Oliver and Nigel Slater eager to tap into his knowledge and showcase his produce. The smoking itself takes place at various food events through the year and at weekly farmers' markets across the region – look out for upcoming events on his interesting website, and then sniff out the beech and oak smoke on the day.